It is with great sadness that we report the death of Robin Spencer yesterday. 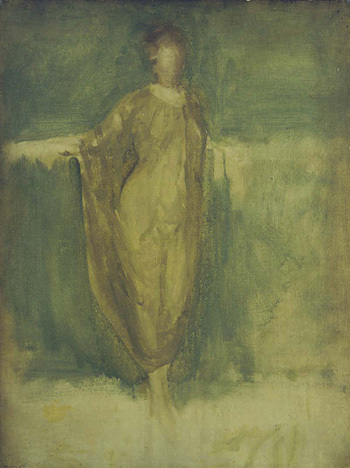 Robin was co-author of the 1980 catalogue raisonné of the paintings of J.McN.Whistler, and had joined the editorial board of our Whistler Paintings project. He was enthusiastic about our project and immensely supportive. Over the years Robin was curator of exhibitions including the splendid 1969 Whistler exhibition in Berlin, and he wrote several important scholarly articles on the art market and the work of Whistler, as well as publications on 19th and 20th century art including the work of his good friend Eduardo Paolozzi. After completing his MLitt at the Courtauld Robin worked as a research assistant with Margaret MacDonald under Professor McLaren Young at the University of Glasgow, and later as a lecturer at the University of St Andrews. He was a fine scholar, an inspiring lecturer, a good colleague and a great friend. We shall miss him very much, and hope the catalogue will prove a worthy and lasting memorial.